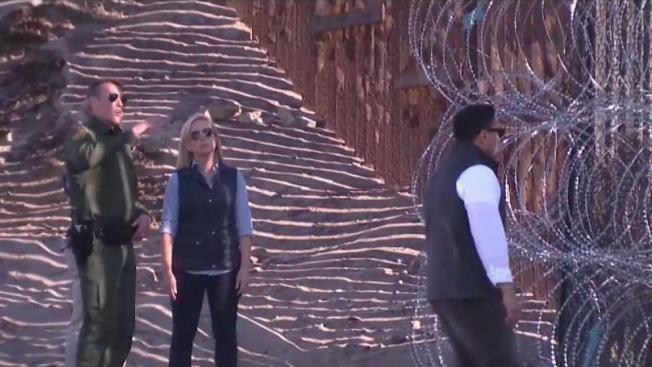 Homeland Security Secretary Kirstjen Nielsen went to an Arizona border city Saturday on the second day of a southwest tour following the recent death of another Guatemalan migrant child in U.S. government custody, which President Donald Trump said was "strictly the fault of the Democrats.". DHS spokeswoman Katie Waldman said Nielsen was in Yuma, Arizona, but gave no other details. 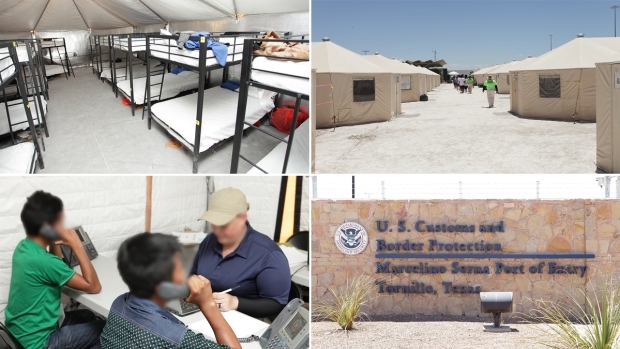 Earlier in the week, Waldman had said that Nielsen would meet at the Mexican border with emergency medical technicians and medical professionals, as well as local officials. Nielsen went to El Paso, Texas, on Friday but the visit was closed to the media and no further information was provided by the department. Late Friday, El Paso Mayor Dee Margo confirmed he was among those who met with Nielsen, saying they discussed "our immigration needs on the border." The statement from Margo, a Republican, did not mention the deaths of migrant children or whether it was discussed. The trip came days after the death of 8-year-old Felipe Gomez Alonzo. Felipe was the second Guatemalan child to die in government custody in three weeks. Trump addressed the two deaths for the first time Saturday, tweeting, "Any deaths of children or others at the Border are strictly the fault of the Democrats and their pathetic immigration policies that allow people to make the long trek thinking they can enter our country illegally. They can’t. If we had a Wall, they wouldn’t even try! ... Border Patrol needs the Wall and it will all end. They are working so hard & getting so little credit!"